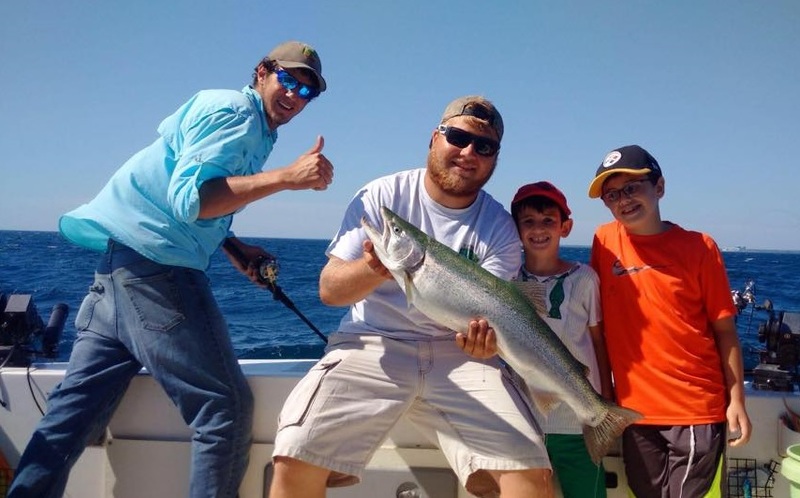 Lake Michigan Fishing – "There is no such thing as a bad day of fishing, just different qualities of good"
Here you will experience the best Lake Michigan Charter! We fish out of North Point Marina located on the Illinois-Wisconsin border. 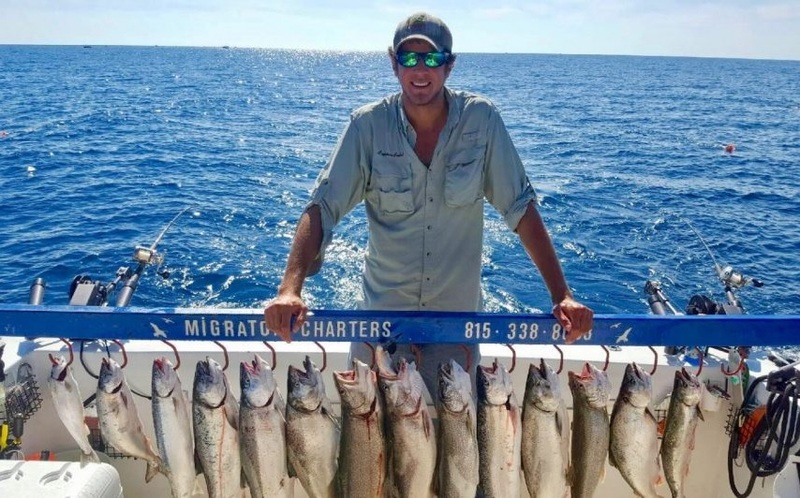 Whether you are a seasoned fisherman or a first-timer, we will do everything to make your day with us SAFE, FUN, and MEMORABLE. My husband and I wanted our grandson to have an awesome fishing experience and Captain Caleb and First Mate Matt delivered just that! The two were so knowledgable and professional but still maintaining such a friendly and entertaining day. We were visiting family in Wisconsin…we will make this a yearly adventure! Thanks again for such a wonderful and exciting day! Went out Salmon Fishing for my birthday! Captain Caleb was extremely nice, knowledgable, informative, and fun! His first mate Max was also a very nice person and they really took care of us all. We caught a ton of fish, and had an excellent time. Good luck in Boot Camp Max! !